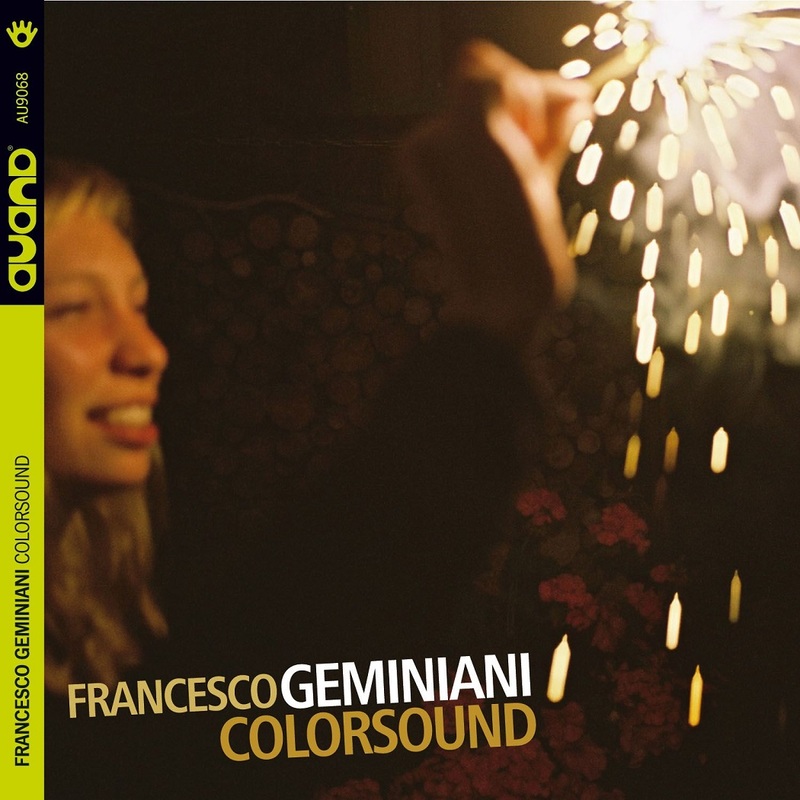 The impressionism of Francesco Geminiani in his new "Colorsound"
Colors are the driving force of Francesco Geminiani’s artistic development in his new Colorsound, out in March for Auand Records. 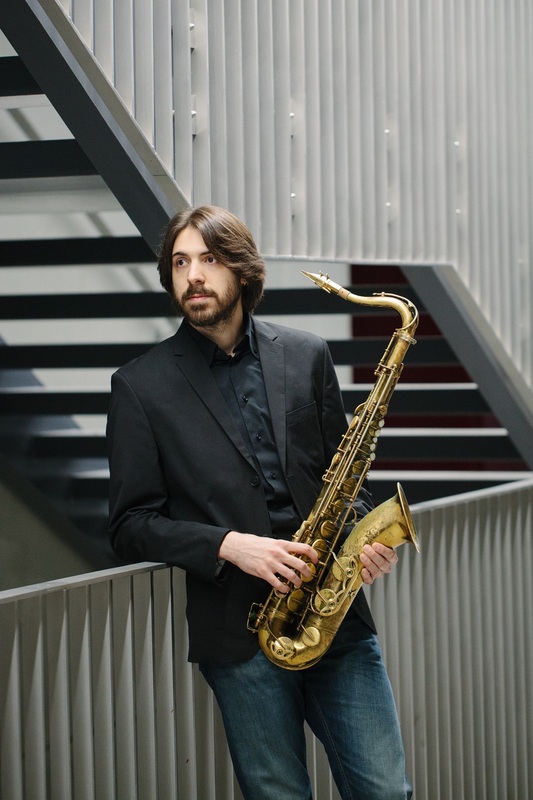 The tenor saxophonist from Verona delivers a jazz work based on impressionism: his sounds assume clean chromatic contours, underlining moods, memories and objects. "It’s a work focused on the colors I see while listening to music – Geminiani says – a synesthesia that has always been with me and that turns every auditive experience into a kaleidoscope of visual feelings. I was aiming at turning some of these colors into music, while reversing the process: this time, it starts from the visual aspect to get to the music." Such a precise and personal concept needed some trusted partners. 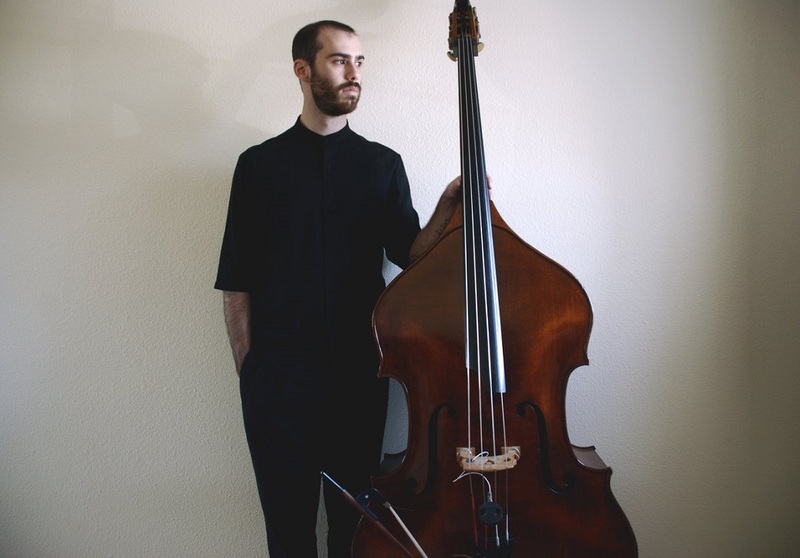 Double bassist Rick Rosato and drummer Mark Schilders are more than prestigious colleagues: they completely understood and shared his intentions in the New York scene, where Geminiani could study after his experiences in Siena (Italy) and Switzerland, thanks to a scholarship for the New School in Manhattan. 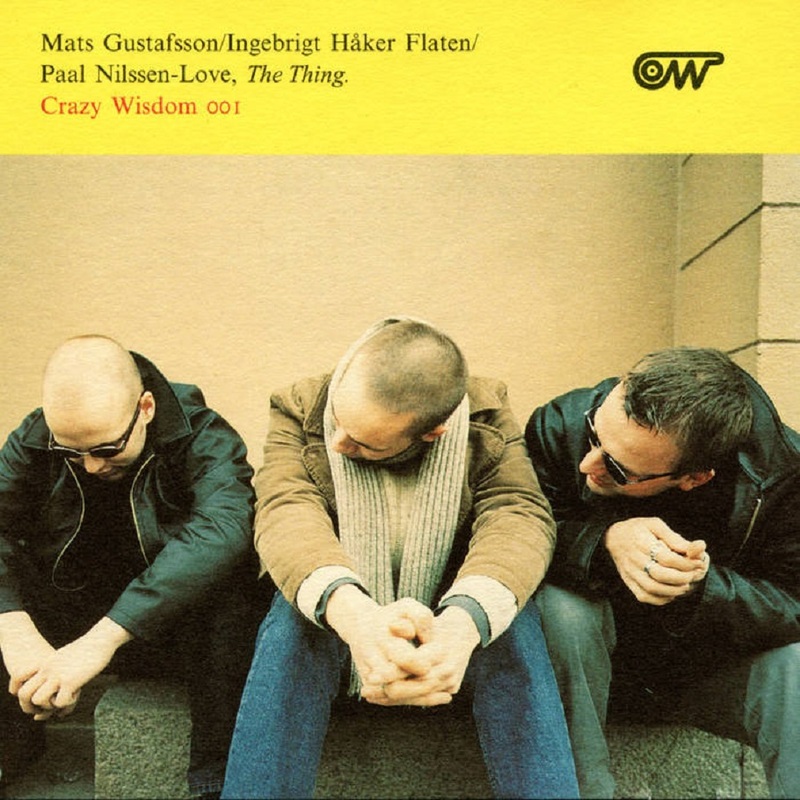 "They are two dear friends and unbelievable musicians, I really wanted to record my music with – the saxophonist explains –. In the many sessions I have done in New York before forming the trio, they stood up for their talent, they immediately understood my compositions and the aesthetic of the project from the beginning, making every parts their own. Rick has the ability to both glue any instruments in the band, and push me to find new musical solutions every time. Mark has an “inner clock” that makes every beat and every person swing, with a personal sound that transcends jazz drums: it recalls orchestral percussion, African rhythms, Rock'n'Roll and the bounciest swing you can think of!" That is why interplay is the main element of Colorsound: "it is the will to break schemes in the most elegant and beautiful possible way to me. Each piece is set to create a cage, a precise musical atmosphere, the musicians must find a way to climb over, going even beyond the composer’s expectations, and making room to the purest forms of improvisation." The composer, in this case, is Geminiani himself. He penned seven out of the eight pieces in the album, recorded at the Bunker Study in Brooklyn with the intent of bringing only music related to everyday feelings and the colors to them associated into the studio. That’s how pieces like "French Blues" or "Ambra" were conceived. But the most representative of them all might be "Agata Blu", defined by the author as "a slalom through tonalities and metrics that keeps going without asking for attention, but one that leaves you with some good memories and a short soundtrack, jazzier than usual." 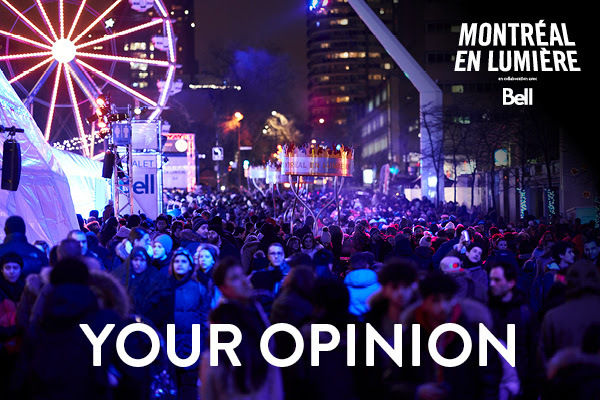 MONTRÉAL EN LUMIÈRE invites you to leave your comments on the festival and its various activities. 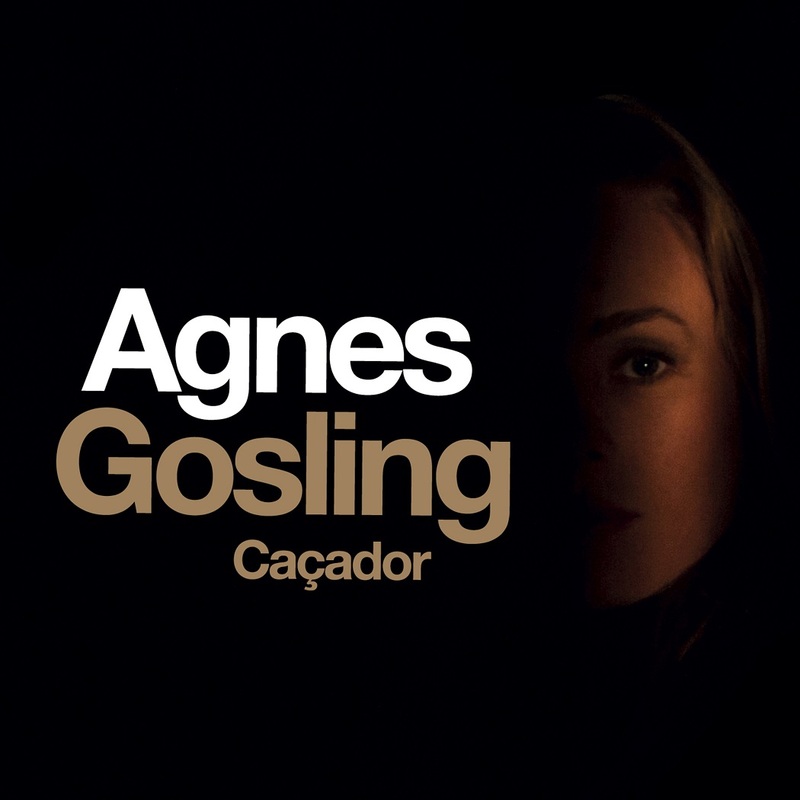 Caçador is the new album by singer Agnes Gosling, who made her debut with Cais, an Edison-nominated CD dedicated to the Brazilian songs of Milton Nascimento and Elis Regina. 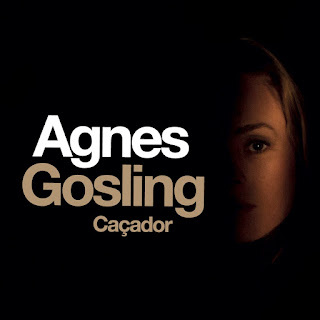 On Caçador, Gosling explores new avenues. The album is made up from a mixture of Brazilian popular music, jazz, pop and electronic music and contains almost exclusively original compositions full of suspense, harmonically braver and more mysterious. In close collaboration with studio magician Vincent Helbers and the renowned drummer Richard Spaven, these arrangements rouse emotions with an acute expression of the enchantment, rapture and despair of love. As in real life, there is light and shadow. Gosling has matured as a composer and arranger and is not afraid to show her vulnerability. The track “Aber ich liebe dich” (But I love you) shows deep feeling, something we all experience, but only few can immediately express that way. 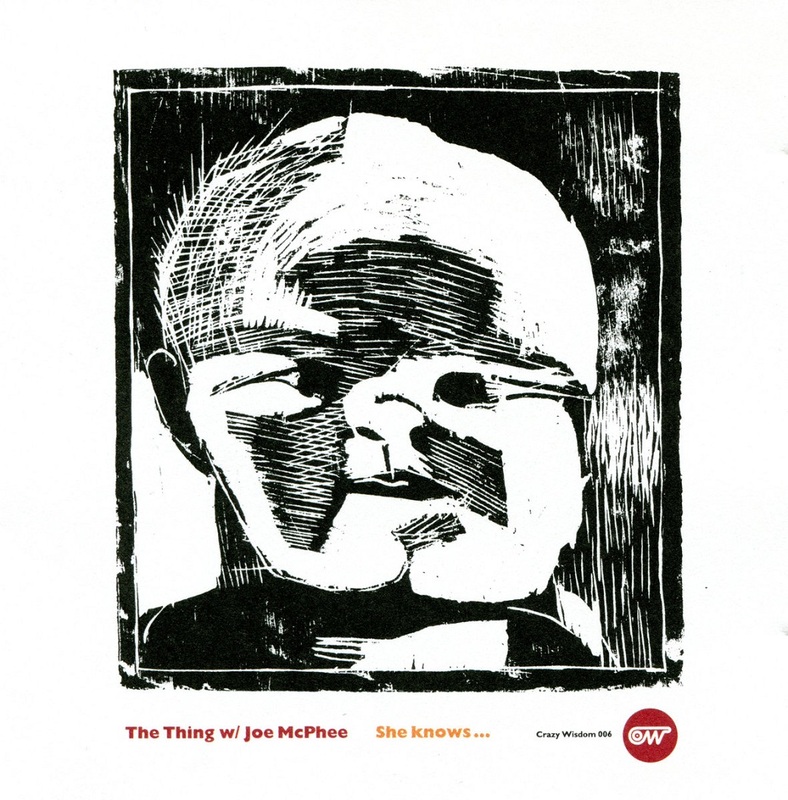 Elsewhere she and her band refine standards like “Bianca” (Egberto Gismonti) and “Trem Azul” (Lô Borges), the latter with Richard Spaven’s inimitable drumming and Vincent Helbers on synths modulating Bob James. Finest and demanding guitar, harmony singing, hard rhythms, orchestral passages – this album has it all. Expect a fascinating mix of contrasts, a Portisheadesque bridge between the acoustic and the electronic spheres. In an epoch where image is king, we are gaining unprecedented control and awareness of the avatars we project onto the world while at the same time our rights to privacy and self-determination erode into nothingness. Hammered on all sides by visual stimuli, we inhabit a universe permeated and driven by advertising and data mining. Our value as consumers is proportional to our role as data sources, and both these factors are cultivated at every occasion to maintain the revenue stream which allows us to think our email is free. Meanwhile researchers, governments and the data companies which provide our online services are reverse engineering our minds, individually and collectively as we race towards the technological singularity whose consequences cannot be predicted nor imagined. Perhaps the wisest course would be to prepare ourselves to best serve the new master or masters. Or is resistance still possible? 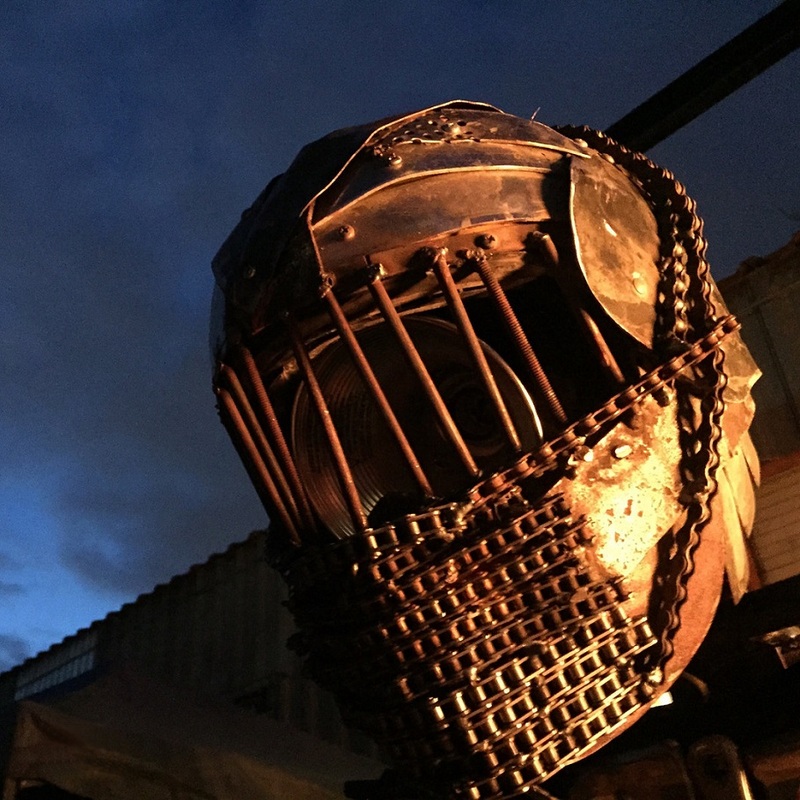 Helm is a word of ambigous meaning, to be understood as an armored covering for head and face which conceals and protects its wearer, but also as the decisive place from which our collective ship is to be steered. Who is at the helm? Who chooses the course, and who follows? Who is guiding this process? Will we recognize the moment when we are no longer in control? And how can we defend or protect ourselves? This record is a collection of sonic images, broken cyclic patterns, political fight songs, united by its diversity. Thus it is both a product of the forces which surround and move us and an attempt to resist or deviate from the course which has been chosen for us, to confound analysis, throw a wrench in the gears. But it is perhaps foremost a message of hope, a book of hymns to commemorate the end of an era and herald the coming of a new, technological deity, in the hope that its desires will align with our own. We – Augustas Baronas on drums, Tijs Klaassen on double bass and Josse van der Schaft on piano – recorded our debut album titled Hollow last summer in Osnabrück, Germany. We’ll be releasing the album on February 2nd 2018 with the newly founded German label Fattoria Musica Records. 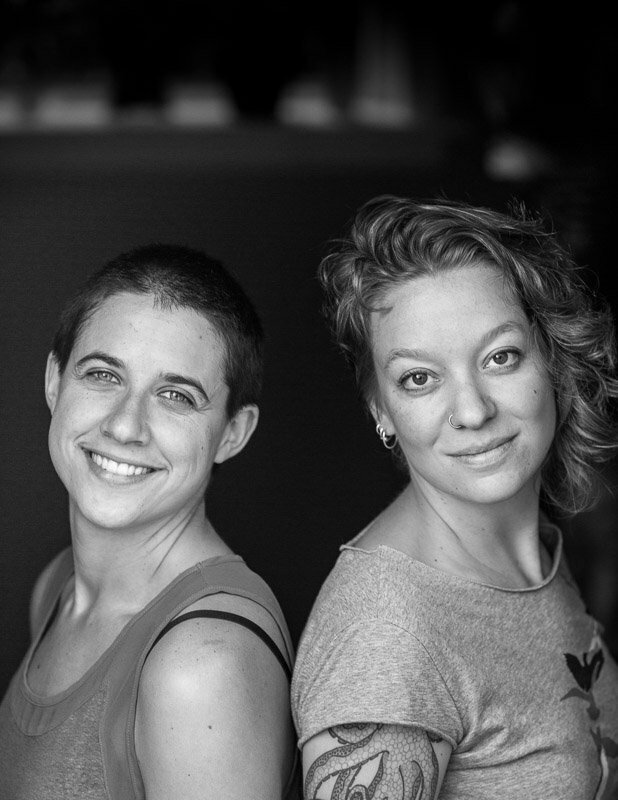 We’ve attended the Conservatory of Amsterdam and Boyer College of Music in Philadelphia and met while studying in the Master program of the Conservatory in Amsterdam in 2016. While playing our original material it is our goal is to find a balance between intensity and playfulness, simplicity and expressiveness. 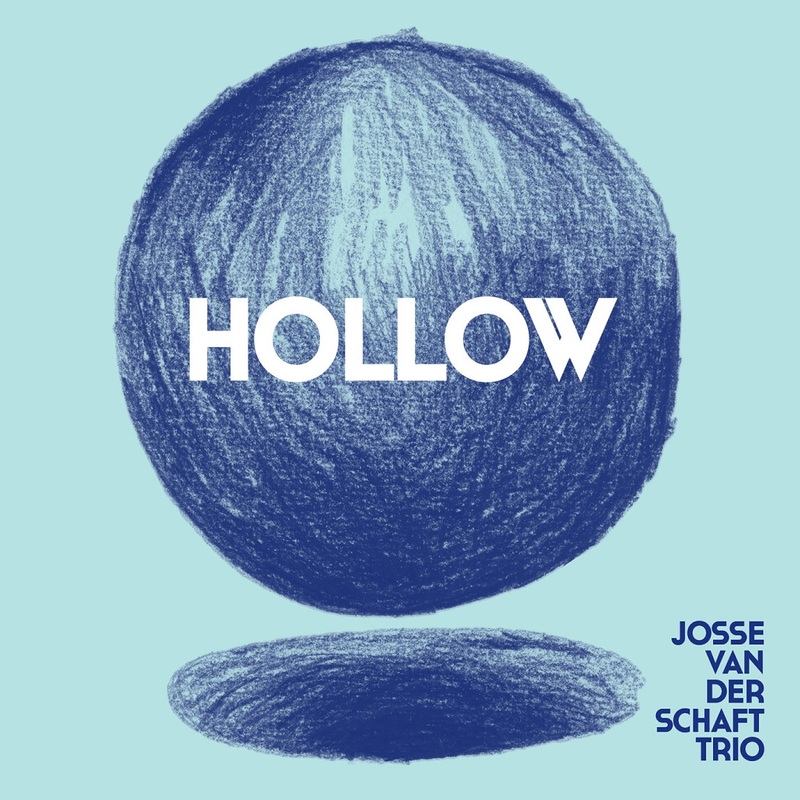 Hollow consists out of originals by the band leader, and is inspired by classical music from the 20th century (amongst others Alban Berg, Olivier Messiaen and Maurice Ravel) and contemporary European jazz music (amongst others Kenny Wheeler and Harmen Fraanje). 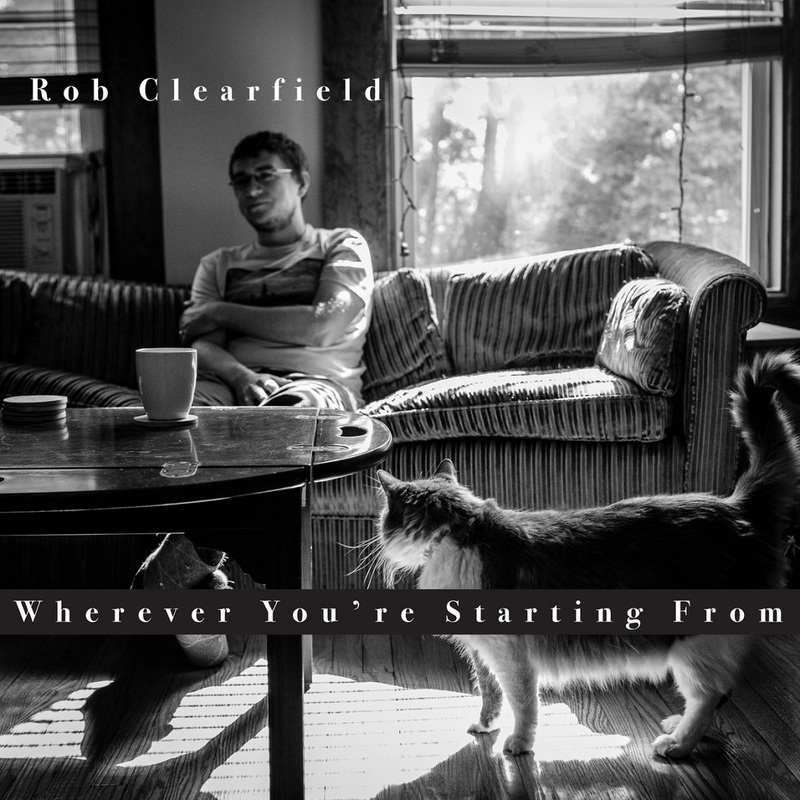 Woolgathering Records is proud to announce the February 26, 2018 release of Wherever You’re Starting From, the fourth album by imaginative and innovative pianist Rob Clearfield. 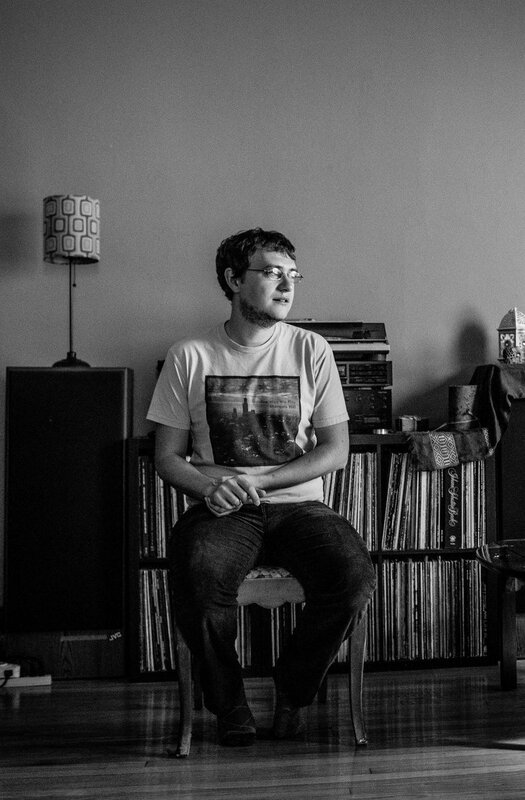 On the Chicago native’s second solo piano endeavor, Clearfield explores his fascination for a compositional approach to improvisation, which is highlighted through the albums distinct and dynamic sonic landscape. Clearfield’s compositions have been strongly influenced by his friend and colleague Makaya McCraven, the great Chicago-based drummer whose 2015 double LP In The Moment (International Anthem) is comprised of excerpts from live improvised performances. While touring together, Clearfield and Makaya had an in-depth discussion about an intriguing and innovative new approach to composing; improvising complete pieces by focusing more on individual moments. This new idea gave way to a renewed sense of freedom, both in the studio and during the editing process by allowing Clearfield to develop a strong ear for the elements of a piece that worked, and to then utilise, edit and produce them to a high standard, regardless of the other parts that didn’t make the cut. As a result, two tracks off the album begin with a fade-in, and one ends with a fade-out, highlighting short pieces which were originally inside larger pieces. The prologue and epilogue of the album were also chosen with this unique improvisational production approach at the forefront. Clearfield introduces and closes Wherever You’re Starting From with two takes of the same song. 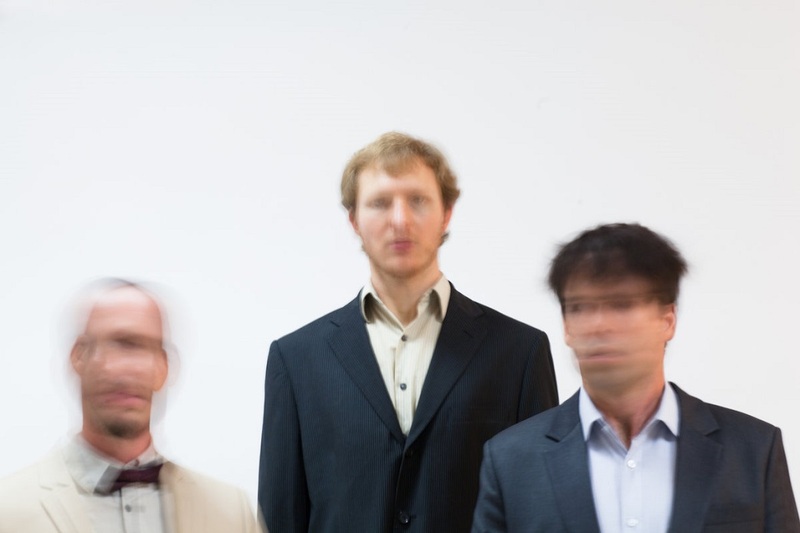 Clearfield’s progressive and virtuosic compositional skill is rooted in both classical and jazz influences. Since the release of his debut album A Thousand Words in 2009, the established composer spent a considerable amount of time studying the canon of classical piano music, particularly the romantics (Brahms, Chopin, Rachmoninoff) and the impressionists (Ravel, Debussy). This 12-track opus includes two freshly interpreted tracks by two of Clearfield’s musical heroes: Johannes Brahms and John Coltrane. The inclusion of their music in this project represents the varied musical traditions Clearfield has spent his life studying: classical and jazz, composition and improvisation, solo piano and group playing, European music and Black-American music. While the Brahms piece is played in a straightforward manner, sans improvisation, Coltrane’s “Giant Steps” is only faintly recognizable at first; the melody doesn’t enter for several minutes, and the rhythm is stripped away almost completely. 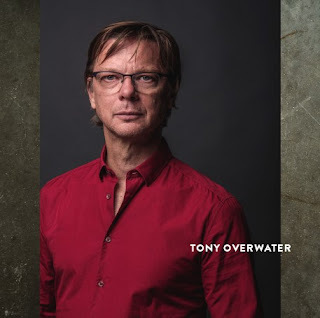 Called “…one of [Chicago’s] most enjoyably unpredictable players” by Neil Tesser, Clearfield has taken part in a number of highly creative and genre-bending releases since his emergence on the scene over a decade ago. They including several releases with Matt Ulery (including 2016’s Festival, with Ulery’s Loom/Large, 2014’s In The Ivory, and 2006’s Music Box Ballerina, to name just a few), as well as with Dan Bruce (2017’s Earthshine), Adam Larson (last year’s Second City), and Jon Deitemyer (2016’s Tall Tales), among others. 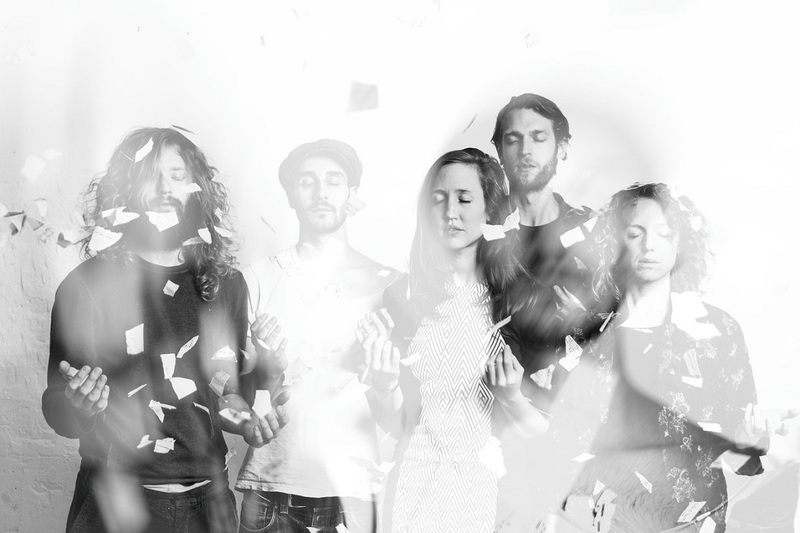 Clearfield’s previous releases include Islands (2016) on ears&eyes Records, The Long And Short of It (2013), a collaborative EP with Bethany Hamilton The Beauty That We Live In (2010) and his debut A Thousand Words (2009). With each of his musical endeavours, Clearfield has always strived to be as expressive and as personal as possible. However, Wherever You’re Starting From represents a new level of vulnerability and exposure, that until now, Clearfield had not yet experienced with any past venture. All songs by Rob Clearfield except “Intermezzo No. 2 in Bb Minor, Op. 117” by Johannes Brahms, and “Giant Steps” by John Coltrane. Recorded, Mixed, and Mastered by Blaise Barton at Joy Ride Studio (Chicago, IL). There’s two states of being on the latest release from violinist Laura Schuler. There’s those passages when her Kronikor ensemble is a raging sea, and waves of dissonance slam up against the melody and wash over the rhythmic landscape. And then there are those passages when a blanket of harmony falls over the ferocity and unites everything into a single beam of melodic light. Neither state is more compelling than its counterpart. When Lisa Grotherus switches over the bass clarinet, all kinds of sparks arise from its collision with clarinet. This effect is doubled when guitarist Anatole Buccella adds some electricity of his own to the mix. Bassist Silvan Jeger and drummer Lukas Rutzen round out the quintet. 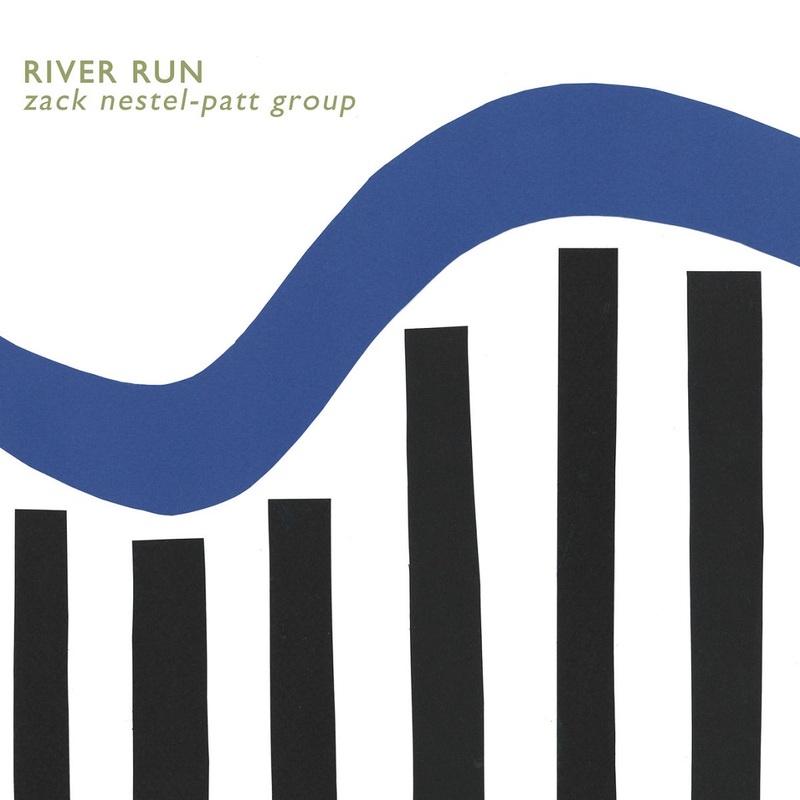 River Run is Zack Nestel-Patt's debut album. A mix of jazz, rock and ambient music, it features a core jazz trio of guitar, drums and bass augmented with overdubs of synthesizer, guitar and arco bass. Recorded over a weekend in Putney Vermont, River Run has the sensibility of a indie- rock record but lives in the history and tradition of improvised music. An acoustic-electric duo with endless possibilities, Syrinx Effect plays their own blend of folk punk jazz. They easily switch between dreamy ambient loops, catchy pop riffs and found sounds, all the while paying homage to their free improv roots. Naomi plays trombone with guitar pedals and Kate plays soprano saxophone with laptop and other toys. The duo got its start curating the Racer Sessions in Seattle, and has gone on to perform prolifically around the US, collaborating with many of the mainstays of the improvised music scene such as Wayne Horvitz, Robin Holcomb, Elliott Sharp, Bobby Previte, Stuart Dempster, Allison Miller, Rene Hart. 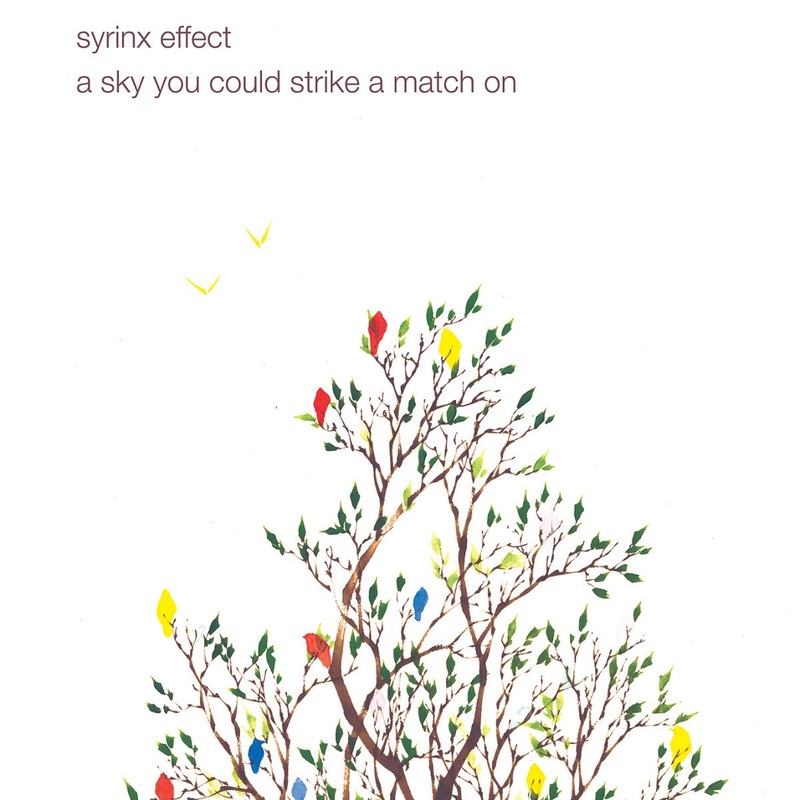 Syrinx Effect makes music that is authentic and expressive, employing everything from simple folk melodies to abstract, ambient noise. Each piece is a meditation, an exploration, and sometimes a romp. Naomi Siegel is a seeker and creator of music that serves as a vessel for connection and authentic expression. As a trombonist, composer and educator with a jazz background, she produces music in a spectrum of settings, including world dance music to folk music to experimental improvisational music. After earning a Jazz Trombone Performance degree from Oberlin Conservatory in 2006, Naomi made her way to the west coast where she has been impacting the Bay Area and Seattle with her creative sounds and fresh teaching approach ever since. In 2012, she received the Earshot Jazz Golden Ear Award for Best Emerging Artist. She records and tours actively with her duo Syrinx Effect with Kate Olson - a folk/punk/jazz duo using loops and electronics. In addition to leading her own ensembles The ODAT Band, Sunchasers and performing as a soloist, Naomi is a collaborating member of the Jefferson Rose Band, Picoso, Thione Diop’s Afro-Groove and Wayne Horvitz's Royal Room Collective Music Ensemble. Kate Olson is an improvising saxophonist and woodwind teacher based in Seattle, WA. 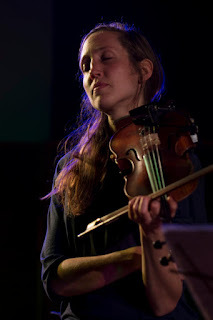 Since moving to Seattle in 2010, she has done her best to infiltrate the local, regional and international improvised music scenes. She can be heard performing with her own projects Syrinx Effect, KO SOLO, and the KO Ensemble and as a collaborator with Ask the Ages, Only Trio, the Seattle Rock Orchestra, the Royal Room Collective Music Ensemble (led by Wayne Horvitz), the Seattle Jazz Composer's Ensemble and multiple other groups. Kate has a BA in Music (Jazz Emphasis) from the University of Wyoming and an MM in Improvisation from the University of Michigan. Kate’s international resume continues to grow, including performances in Russia, Latvia, Turkey, Switzerland and Slovakia. She has appeared on stage with Pauline Oliveros, Allison Miller, Bobby Previte, Patricia Barber and pop music icons Sir Mix-a-lot and Big Star's Third (featuring members of REM, the Posies, and Nada Surf) among others. In 2011 and 2013, Kate was nominated for the Earshot Golden Ear Award in the Emerging Artist category. Kate’s musical goals include expanding the educated audience base for improvised music and creating performance situations that facilitate opportunities for improvisers to network and advance their careers in the field. All songs written by Naomi Siegel © 2017 MoonMusic (ASCAP) and Kate Olson © 2017 KnockoutNoise (ASCAP). Song for Dead Sparrows was commissioned by Entre Rios books. Hip music on historic instruments Did you ever hear an 18th century fortepiano, a violone from 1560 and a historical drum and percussion kit playing contemporary music full of improvisation and groove? 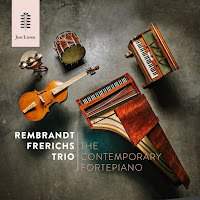 On the latest release of the Rembrandt Frerichs trio this unlikely combination has come together. And how! This mix of sounds has never before been heard, certainly not in jazz. 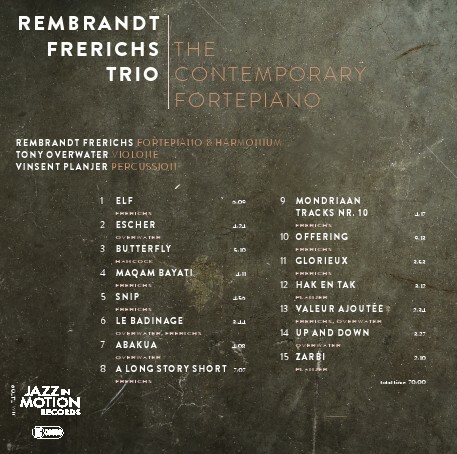 The chosen repertoire is equally unorthodox: the trio play original compositions, baroque repertoire, modern improvisations and even Herbie Hancock's jazz-rock hit “Butterfly”. 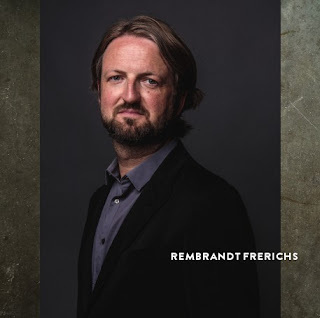 Piano-pioneer Rembrandt Frerichs developed a unique playing style on the fortepiano, an idea that was spawned by the many collaborations with musicians from the Middle East. The National Musical Instrument fund had such an instrument built for Rembrandt by Chris Maene in Belgium. In response to this, Tony Overwater started to master the violone, precursor to the double bass. 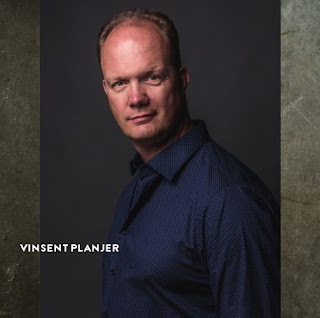 Vinsent Planjer complements this with an unconventional collection of percussion instruments from all over the world, the Whisper Kit. The Rembrandt Frerichs Trio demonstrates that instruments from centuries gone by can sound totally modern when placed into a new context. The listener experiences a sound palette like they have never heard before but that’s strangely familiar.